As much as we'd like to give our loved ones the world, a trip to Europe when you factor in airfare, hotel, food, and activities can quickly get expensive, and it may not be possible to really loosen the purse strings when it comes to purchasing souvenirs. If you're on a budget, or just want to be a smart shopper, these are the best gifts to buy in Amsterdam that won't break the bank. Your friends and family will surely appreciate them, and you'll appreciate the fact that you didn't spend a fortune. Most of Amsterdam's food and drink gifts won't put a huge dent in your wallet, but they will surely please whoever receives them. 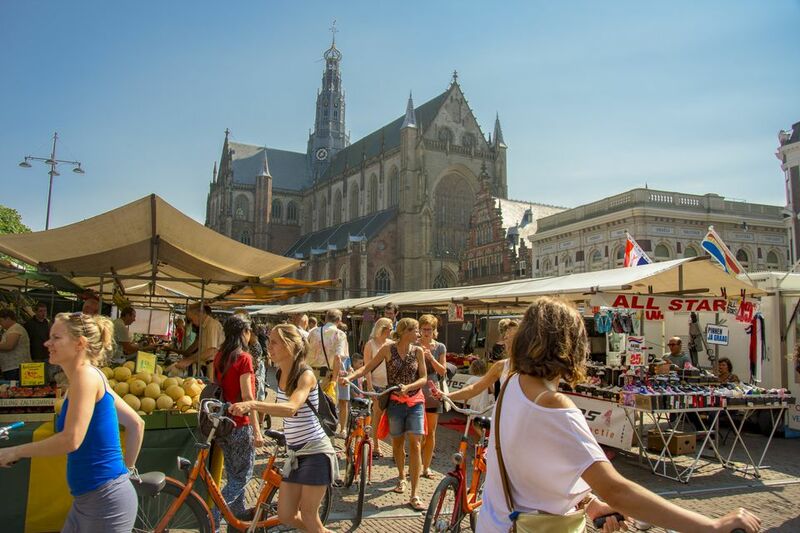 Choose from a wide range of Dutch specialties including delicious Gouda cheese, ooey gooey stroopwafels, decadent chocolate, hearty beer, and an endless array of traditional cookies. No matter the price, these treats are always a hit! This is truly a lovely Dutch custom. The ver Jaar dag (birthday) calendar is meant only for recording birthdays and since they have no year, just numbered dates, it's a gift that will become a keepsake. The ver Jaar dag is part of every Dutch home, and in fact, most people (with large families) have more than one. You'll find them in most gift shops and stationery stores. The designs range anywhere from Dutch children's book characters to Van Gogh paintings and everything in between to illustrate the pages. We all know that Amsterdam is known for its gorgeous tulips and their bulbs, but often, tourists are unaware that there are many varieties of blooming bulbs you can bring back home. What a lovely gift Dutch narcissus (daffodils), hyacinths, lilies, amaryllis, alliums, and crocuses would be for anyone with a green thumb or love of nature. Bringing them back to your home country is allowed, just be sure to only purchase the prepackaged kinds approved for international transport. For most people, the Dutch wooden clogs or wooden shoes are symbols of the Netherlands. While you won't find many Amsterdammers walking around in them, some rural residents and farmers do still wear them (they're great for walking in muddy fields). If you don't think your friends and family really want to wear wood on their feet, an adorable alternative is a pair of wooden shoe slippers, made of soft fabric. You'll see these fluffy clogs hanging in almost every souvenir shop, and they are a much more affordable (and comfortable) option. However, if you want the real thing, head to Ratterman Wooden Shoes and Gifts, just south of Amsterdam in the town of Amstelveen. You can even watch them being made! These Amsterdam experiences can only be had in spring.